Film, music and food; everyone welcome, starts at 2pm. Throughout the afternoon there will be hot food available. 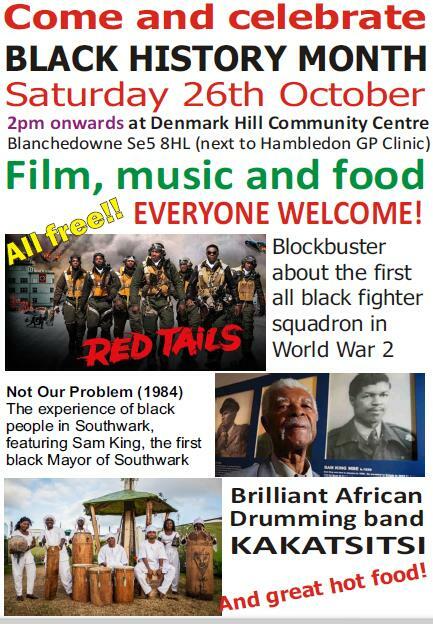 At the Denmark Hill Community Centre, Blanchedowne Se5 8HL (next to Hambledon GP Clinic). Brilliant African drumming band KAKATSITSI will be playing.